Wow! One level living at its best located on a .58 acre fenced lot with wooded privacy at the back! Formal living room with bay window, dining room with coffered ceiling, HUGE (23x19) great room, well appointed kitchen with granite countertops, plenty of cabinets, pantry and breakfast overlooking the back yard. Magnificent master bedroom (20x14) with tiled shower, double vanity and oversized closet. Beautiful wide-plank hardwood floors in the living area with super plush carpeting in the living room,study and bedrooms. Enjoy all seasons on the 33x11 covered patio with ceiling fans, wired for TV (enjoy those games) and a line for the gas grill. Upgrades, updates, this home is ready to move into and in fantastic shape! 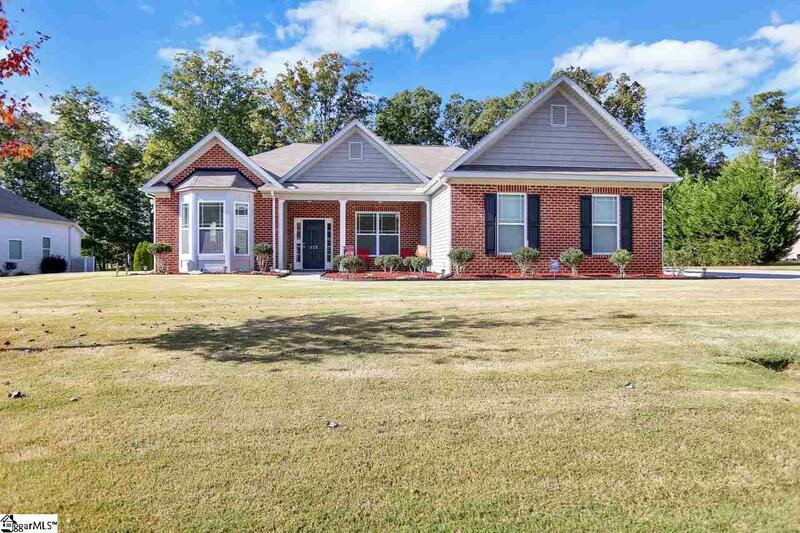 Listing provided courtesy of Jane Gibbs of Allen Tate Company - Greenvill.